Are Journalists Using Fewer Anonymous Sources? “Going into this, I really did think that I was going to find that anonymous sourcing was used more than in the past,” said Prof. Matt J. Duffy, a professor at Zayed University in Abu Dhabi who worked on the study with Prof. Ann E. Williams of Georgia State University. Nowadays journalists almost always describe anonymous sources in some way rather than simply calling them “reliable sources.” In 1958, 34 percent of stories with unnamed sources used such vague language; that dropped to under 3 percent in 2008. 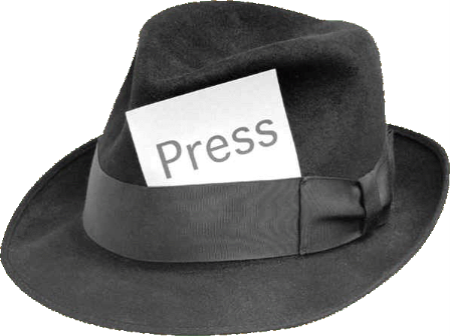 Reporters are doing a better job of explaining why they grant anonymity. In 2008, about a quarter of stories offered some explanation. While Duffy said that’s still low, through 1998 such explanations were provided in fewer than 10 percent of stories. Journalists haven’t changed their practice of independently verifying all information from anonymous sources. They do so in most cases, but not all. Here are some guidelines that Bob Steele and I wrote about when it might be appropriate to protect a source and why you might not want to. Previous Previous post: What Does Tumblr Have to do With Journalism?